*This is a sponsored post, but the opinions are all mine. One of the best gifts someone gave me as Joey was nearing his last days was a pendant. We pressed his little finger on it and made an impression. Now I wear his fingerprint on a chain every single day and often touch it when I want to feel him near me. Grieving parents choose to keep their little ones near in so many different ways - whether in sight or in mind. Not long ago, my family tried to figure out how to keep Joey in the picture. I had my own ideas about this, but recently I have seen people placing the shadowy figure of their child in family pictures. My own personal jury is still out as to whether I would use this idea or not. The great thing is, though, that there are so many beautiful and creative ways to remember and honor our loved ones. 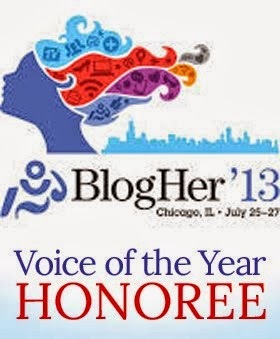 That's why when I was contacted by a company called Everlasting Memories I knew I had to share it with you. 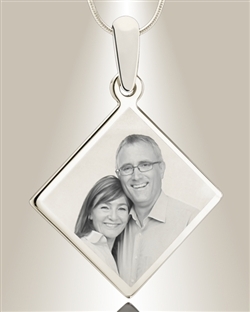 ". . .a complete selection of high quality cremation jewelry pendants, photo engraved jewelry, and cremation urns to help families remember those they’ve lost. Losing a loved one or a special pet is difficult, and everyone grieves differently. 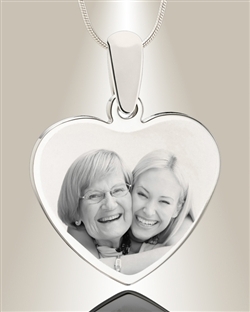 Our pendants, keepsakes and urns provide a private way to express your devotion to those you’ve lost and are an ideal grieving gift for a family member or friend that they will treasure for years to come." Honestly, this is really beautiful stuff. 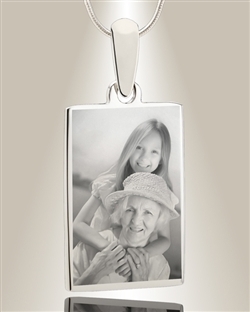 The photo engraved jewelry comes in silver or gold-plated as well as a variety of shapes and sizes. You choose a favorite portrait and they make the memory last forever. They have styles and sizes that will appeal to men and women, as well as children. There's something for everyone. It's difficult to pick just one as they are all lovely. I wasn't sure how I felt about cremation jewelry at first, but I changed my mind after looking at some of the options that Everlasting Memories offers. There are so many styles, shapes, sizes, colors, and options other than jewelry available that I think anyone could find something that helps to soothe your grieving heart. Anything on the Everlasting Memories website would make a wonderful gift for someone with a hurting heart. 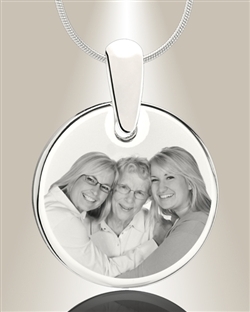 They really care about providing the best quality keepsake that will last a lifetime. The wonderful thing about these products is that they are for anyone who wants to keep a loved one (even a pet) near to them. The giveaway is open to residents of the United States. Fill out the Rafflecopter below, and be sure to visit Everlasting Memories on Facebook and Twitter. Are you new here? Welcome!! Visit and like my Facebook page to keep up on every great giveaway and post.